And though began on different ships; Each stared down their destiny. 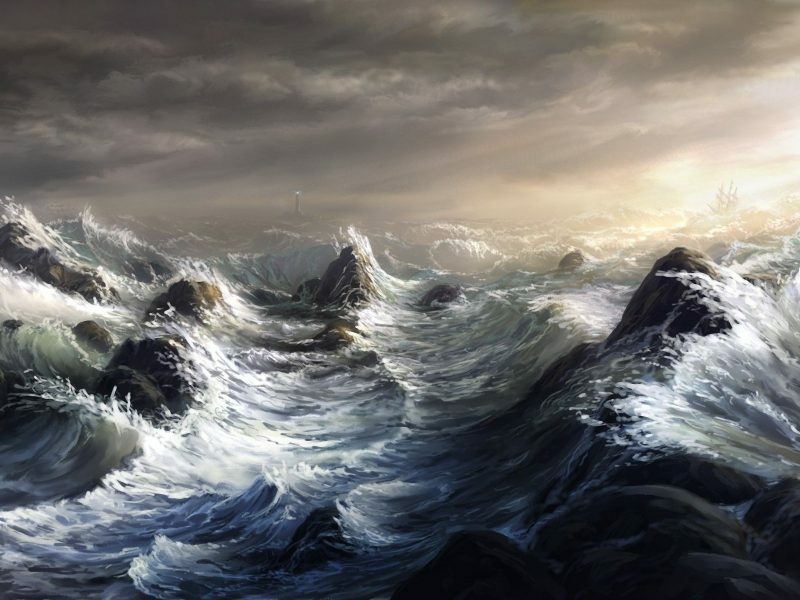 They fell into the churning sea when a raging storm had struck. They both knew of the Isle nearby. All the sailors knew it well. The Isle where they were headed, ‘fore their ships sank ‘neath the swell. And lived in luxury and peace; Ah, truly a sight to behold! If only they could reach that place. They knew life would be grand. They looked at the stars that night, and oriented themselves toward land. Though both set off with conviction, to live and reach that shore. The first man soon made it there, and lived until old age. He wrote books, and sculpted art; And his story is now ‘all the rage’. The second man: he drowned at sea, less than a mile from shore. He’d fought hard and long for those nine miles,…likely harder then any man before. Laughing at his misfortune with disparaging attitudes. One man asked as he sat down to converse o’er another round of ale. “You may say the first man is clearly the success. For he made it to the Isle, and lived in grandeur and excess. Yet, the first man only swam one mile….so is success really the case? Is success the result of outcomes, or is it more about the race? And didn’t give up for those nine miles, is a failure for not reaching shore? He may have never reached the Isle. He may have died too young. Howe’er he lived and fought far longer, then that man on societies’ tongue. Is he not the man who succeeded the most?